Working on various continents, our team has come together to work for corporations, NGOs, government leadership in Australia, Thailand, Europe, and California. Bruce and Jane have been collaborating for nine years, with Jason joining us three years ago to help bring alive what we hope will be an exciting new way for individuals and organizations to build capacity in thinking, itself. [Applied Critical Thinking; Systemic Thinking and Methods for Complexity; Self-Knowledge for Taking Initiative]. We have “bench strength” in the several hundred talented GreenMBA alumni and special “mentored professionals” in Thailand and Australia, who have studied for years with us, and are eager to support our work when opportunities arise. Jane is a social entrepreneur and was active early in the sustainable business field. A tax lawyer and strategy consultant by trade, Jane co-founded the GreenMBA, the first accredited MBA in Sustainable Enterprise in 1999. She taught the anchor courses for fifteen years, enabling graduate students from around the world to think more critically and systemically, and to build self-knowledge as they take initiative. Upon the recommendation of her students, she and her partners are entering beta testing of TheFULCRUM, a new social learning platform, community, and path of development for young leaders around the world that is an adaptation of the life-changing curriculum that she developed. As a co-founder of Future Insight Maps, a company that helps organizations and communities work with highly complex, multi-stakeholder issues, she is also the co-developer of WindTunneling. WindTunneling is a versatile software toolset that provides an easy means to gather and develop ideas, as well as test them. Jane is pioneering new openings in civil society and corporate exploration of complex issues through applications of WindTunneling in police-community relations, environmental political action, education and campaign finance reform, as well as in corporate strategic planning, futuring, and resilience testing of strategies . Jane was heavily involved in the California utility world during deregulation and has an intimate knowledge of the public and private sides of the California energy operations, markets, and regulation. 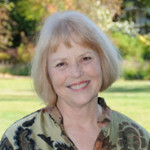 She is involved in vertical-axis wind energy and is a consultant to and on the board of Wind Harvest International.com. She continues to consult in with California’s publicly owned utilities. A specialty skill of Jane’s is the ability to explain large, complex challenges in common language that can translate into shared understanding and thus, action. These skills came from years as an elementary teacher and school counselor as well as as a mother of five children. Jane holds a JD from the Hastings College of the Law, University of California (San Francisco), a BA from UCLA, as well as two advanced degrees in Education. Bruce McKenzie is a pioneer and activist in the implementation of holistic thinking to complex issues impacting on community development and organizational wellbeing. Holding post-graduate qualifications in Regional Planning and Systemic Thinking he has, since 1972, facilitated learning programs in these disciplines at universities around the world. Bruce is a successful entrepreneur, building a thriving consulting group in Australia, Thailand, and the European Union. His collaborative network organizations have developed projects in areas from environment to health, from urban planning to organizational restructuring. His pioneering work is integral to the Systems degree programs at the Open University and his Systemic Labs at Dominican University in California brought hundreds of graduate business students to a more comprehensive understanding of Systemic Practice. Bruce has a lifelong commitment to helping people find their ‘voice’ and have it heard in decision-making places. In pursuing this goal he has held senior executive positions in non-government organizations in both national and international arenas. Further, this challenge has led him and his colleagues to invent multiple techniques for gathering and making sense of collective wisdom. In recent years he has been applying this knowledge to the long-term accessibility and affordability of renewable energy sources for non-urban communities. 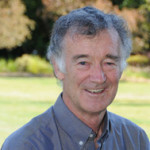 Bruce had pioneered the collective wisdom gathering techniques as a consultant, and he and his colleagues have developed WindTunneling software that allows diverse groups to share knowledge/experience safely and conveniently. The tool set has been used for the dairy industry across Australia, government planning throughout Thailand, and in small coastal villages that are recovering from flooding or who seek a coherent plan for their future town. Decades of successful international experience has brought Bruce the confidence and “unassuming leadership” that every CEO or manager or staffer immediately recognizes for its authenticity based on direct engagement with complex issues. His pioneering work will be available through TheFULCRUM, an on-line social learning platform, community, and path of development for young leaders around the world who are facing the challenges of complexity. Beta testing is underway for this exciting new opportunity. Jason Skinner has deployed, managed, and researched online learning systems since 2002. After teaching and doing research at three universities, he worked with PBS as a lead developer for a number of online video and informal learning initiatives. He is interested in electronic learning and working environments that enable authentic communication, where teams co-construct knowledge and pathways forward together. Jason currently works for Future Insight Maps and is the technology lead for the WindTunneling and The Fulcrum platforms. 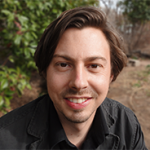 Jason holds a PhD in Organization, Information, and Learning Sciences from the University of New Mexico. Suree Borisuitsawat has 8 years of working in consulting firm taking the roles of consultant, coach, trainer and facilitator. 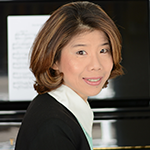 She understands the business world very well due to her experiences over 20 years in multi-national companies in Thailand, primarily in the Pharmaceutical, Finance, and Retail industries. As Thailand is ingrained with a strong hierarchical system, most of the decisions are made from the top of the organization, without listening to other “voices.” Suree’s intention is to bring in all stakeholders’ voices, even the entry level and front line people, to the table of decision-makers and policy makers. Without these relevant perspectives, decisions run the risk of being suboptimized or ignoring inconsistencies that can be revealed by engaging people who do much of the work. Suree has been driving and expanding Systemics in Thailand for more than 5 years. She works closely with Government units in both national and departmental levels for a variety of complex issues that they are facing, especially in strategic planning. Under Suree’s leadership, a sampling of government units that enjoy collaborative and superior outcomes as well as strategic outputs through utilizing Systemic Thinking and Methods: Department of Special Investigation, Thailand Institute of Justice, Department of Medical Service, Department of Medical Science, Bangkok Metropolitan Administration. As a result of Suree’s work, the Tsunami National Plan, hosted by Department of Disaster Prevention and Mitigation, is one of the projects that government officers (from relevant departments in handling the Tsunami) hear the actual voices of and work out the plan with local people who were in the disaster. Suree also helps Private organizations to listen to their internal and external customers before they come up with clearer and more sustainable strategic plans, supporting their leadership teams. Suree has worked closely with Prof. Bruce McKenzie in conducting Future Thai Leadership that is the first Systemic research in Thailand. This multi-year research project has brought in challenging new perspectives for Thai organizations to support them to take up Systemic and Sustainable leadership, leaving one-dimensional practices and the comfort of being merely positional leaders. Suree could apply Systemics for Complex issues and at the same time she can help clients who need Systematic approach in solving or implementing particular issues since she is is also a certified Black Belt Six Sigma. Thus she has perspectives of both Systemics and Systematic in order to support clients to handle issues with the suitable approach. Suree used to work with several countries in South East Asia when she was Regional Black Belt for Eli Lilly Asia Inc. She holds bachelor degree in Pharmacist and Master degree in Business Information Systems. She is certified Practitioner of Life Coaching, NLP Practitioner, Systemic Practitioner and WindTunneling Facilitator. Karen Olson is an architect and writer who, after living and practicing for many years in France, is currently based in Sacramento, California. She was a founding board member of the Institute for Environmental Entrepreneurship and, in this capacity, was closely involved in shaping the evolution of the GreenMBA from its inception. Karen was on the design team for the Fort Baker Leadership Summits, planning a Sustainable Future for California. A founding member of the WindTunneling and Future Insight Map’s team, Karen continues to offer her potent questions and insights to this work. She holds a BA in Political Science from Stanford University and Masters in Architecture from Harvard University. As Chief Operating Officer, Barbara’s many talents in organization, networking and gracefully getting everything done is a huge support to the team. She graduated from the Dominican University’s GreenMBA program, enhancing her significant skills and experience as a successful entrepreneur in commercial real estate in the San Francisco Bay Area. A Certified WindTunneling Facilitator and course leader, Barbara divides her time supporting the consulting, Systemic Labs, and WindTunneling Certification. She is also a wizard in technology and business systems/software where she and Jason Skinner collaborate to keep all the balls in the air. Andrew has a 15 years of work experience as a senior Production Engineer with Australia’s leading steel manufacturer. However Andrew’s experience only starts there. 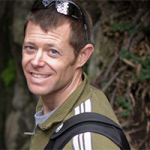 Andrew has also pursued a career in outdoor and adventure based leadership working with young adults and small teams in challenging environments. Furthermore Andrew has recently worked with the Australian federal government to oversee the technical aspects of the value-for-money of more than $12 billion dollars of Natural Disaster Relief and Recovery funding reconstruction as a result of severe flooding and cyclones in northern Australia. Andrew has been studying, facilitating and teaching Systemics for more than 9 years in Australia and Thailand and has specific expertise working with manufacturing and engineering organisations to assist in the collaboration of technical and non-technical personnel. Born in Guyana, Orland resides in Los Angeles but works globally with youth leadership and advising for funders about new concepts of money and how it can influence the changes that need to happen. He has built a network over the past two decades in Los Angeles supporting effective design for gang intervention and social capital development. A powerful public speaker, he works closely with WindTunneling and the Future Insight Map Team. Leading sustainability pioneers in Europe, Brazil, with Nicanor Perlas in the Phillipenes as well as New York, Newark, Oakland and Los Angeles, Orland bring deep wisdom from various traditions into all of the groups who are fortunate to engage him. His interest and commitment to systemic methods has arisen from hard years of experience with chronic dysfunction or under-preformance in the Civil Society sector.